Every driver must wear a recognized BSA approved helmet (no bicycle helmets please), trousers, long sleeved top, protective footwear, gloves and knee and elbow pads (no bare arms, legs or skin). The racing number assigned by the organisers (The Entry Form Number) must be fixed to both sides of your soapbox, visible for all to see. No team will be allowed to compete under the influence of alcohol, drugs or medication. Teams must follow the instructions of the safety officials, marshals and the race committee. Any team that does not come to the Starting Line at the correct time or when called to do so by the Marshals, will, at the Race Marshal's discretion, have 5 seconds added to its timing and 5 points deducted from the Judges scores. All members of the Team must sign, at scrutiny, a declaration absolving the organisers from any and all responsibility. 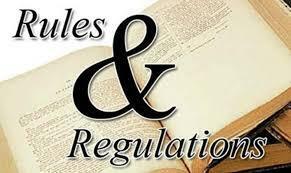 All 12-17 years old (Inclusive) must be accompanied at ALL times by a parent or guardian at scrutiny, practice and racing (see disclamer). It is the responsibility of each Team Captain to ensure the safety of his/her Team. Team Captains will be required to sign a declaration to this effect. In all matters relating to the Soapbox Derby, the Committee's/Judges'/Time Keeper's ruling is final. Corporate - Police, Fire Services, Institutions, Shops, Industry, etc. Student- including Schools and Colleges, ages 12 to 21 years old. 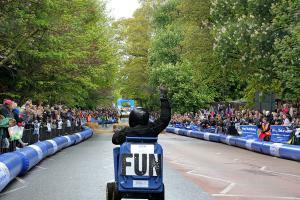 All categories will be judged on: 1/3 Team Performance - 1/3 The Soapbox - 1/3 Spectator's Reaction. Team Performance= 20-30 second act prior to race. The Soapbox = Soapbox appearance. Spectators Reaction = Applause from the crowd. All drivers must be fit and well, healthy with no medical conditions and must not be pregnant. A disclaimer must be signed at scrutineering. Should not exceed 110kg in weight (not including the driver). Should not exceed 1.5m in width. Chassis clearance should be no higher than 30cm from the ground. Wheel base from front axle to back axle should not exceed 2.5m. Wheel's diameter should not exceed 67cm. Should not have any mechanical parts to increase its speed (no catapults, pedals, jet or any other engines). Must have a rigid steering system (no ropes). Must have a back two wheel braking system, as a minimum. Must not have any smoke or fire devices fitted. Must not have any design elements to endanger themselves or the public (i.e. no sharp metal objects, mirrors or glass). The soapbox MUST have a solid floor. No part of the soapbox must extend beyond the width of soapbox (no dangerous projections). A soapbox derived from an existing chassis is permitted provided that it complies with the rules. All soapboxes must have a towing eye front and back or means of attaching a tow rope. A soapbox not complying with the above specifications may be allowed to run if it complies with the safety regulations, but it will not be eligible for any of the prizes. Scrutineering will only be from 6pm to 9pm on Wednesday 2nd May 2018 in the car park at the side of Unbar Rothon's factory in Radford way. The derby runs will start at Sun Comer, Billericay at 09.45 a.m. Teams must assemble in the pits at Sun Comer Event Field by 08.30am. This will be followed by the Drivers' Briefing at 09.00 a.m. 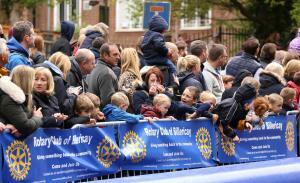 Entry fee will be £55 per soapbox with expectation to raise in sponsorship at least £100 for the 2018 nominated Charities supported by Rotary. The race is open to all home-made soapboxes, all of which will race against the clock, one at a time. A start ramp will be in use. Once one soapbox has been removed from the circuit the next soapbox competitor will start. The fastest three soapboxes in either run will win an additional cash prize- See the "Prizes" document. All Racers will be judged on overall spectacle and performance for their category. The soapbox and all remains must be removed immediately after the soapbox run. Your fastest time will be your result. All soapboxes will be in Pare Ferme for 15 minutes at the end to allow for objections. If no objections are made, the Prize Giving will take place 15 minutes later.